Legendary Triple-Crown winner was 76. 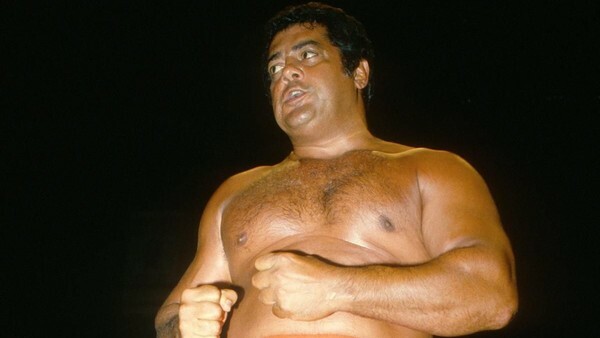 WWE have confirmed that legendary Hall of Famer and company Triple Crown winner Pedro Morales has died, as first reported by former announcer and close friend Hugo Savinovich. Morales passed away at his home in Perth Amboy, NJ, following a battle with advanced Parkinson's Disease. The industry was quick to honour Morales, a legitimate icon of the business who became the first Latin WWWF World Heavyweight Champion in 1971, going on to hold the title for over a thousand days. Pedro Morales was born 22 October 1942 in Culebra, Puerto Rico, spending his formative years in the Caribbean before moving to Brooklyn when he entered his teens to complete his education. An accomplished sportsman, Morales was originally tipped for a career in Puerto Rico's pro-baseball league, but declined the opportunity for a career in professional wrestling instead. At the age of 17, Morales began training under the wing of Barba Roja, making his New York City debut in 1959. After success in California's WWA and Mid-Pacific, Morales returned to New York where he began working for Vince McMahon Sr.'s World Wide Wrestling Federation. Within just a year, he was selected to follow in the footsteps of Bruno Sammartino as the territory's next babyface hero. At Madison Square Garden on 8 February 1971, he famously dispatched Sammartino's conqueror Ivan Koloff to claim the region's top title. He'd keep firm hold of it for the next 1,027 days, proving a massive draw for the region's Puerto Rican population, selling out MSG a stunning 21 times. Morales eventually dropped the strap to Stan Stasiak in December 1973, as Sammartino returned to replace him at the top. 'Don Pedro's run at the pinnacle may have reached a close, but he would continue to make history in WWE following a brief excursion to Japan and AWA. After returning to the promotion, he won the tag team championships alongside Bob Backlund, and latterly the Intercontinental Championship to become the company's first ever Triple Crown winner. The Puerto Rican's combined reigns with the Intercontinental Title totalled 619 days, a record which still stands to this day. Morales hung up his boots in 1987, becoming a road agent and Spanish-language commentator for WWF. He was inducted into their Hall of Fame in 1995 by fellow Puerto Rican Savio Vega. 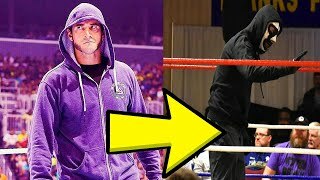 Morales is survived by his wife Karen, and son Pedro Morales Jr. WhatCulture.com would like to extend our condolences to his family and friends.